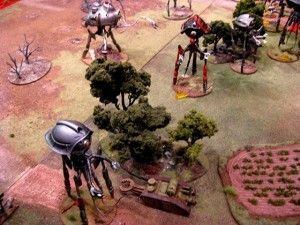 Alien Dungeon keeps plugging away on their All Quiet on the Martian Front Kickstarter campaign. They've posted up some more stretch goals they hope to break through. We have just unveiled the next batch of Stretch Goals for All Quiet on the Martian Front. Things are going great but we want to give you guys even more! Check out what you can get for the $175,000 and $200,000 levels! Also, if we get to $250,000 we will make another UNIT in PLASTIC! Then everybody wins as the savings will be passed on to you all!